Johan has been developing software since 1996 and has been using .NET since version 1.0. 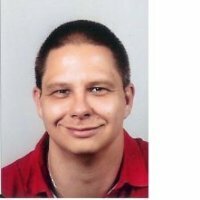 He has a lot of experience as lead developer and architect for enterprise .NET solutions. He has a passion for clean coding and test-driven development. As a Project Lead Developer at Bergler he spends his time architecting .NET solutions and coaching and teaching other developers in using Microsoft technologies and applying best practices in their development process. In his spare time, he teaches children how to program and is a trainer in first aid.